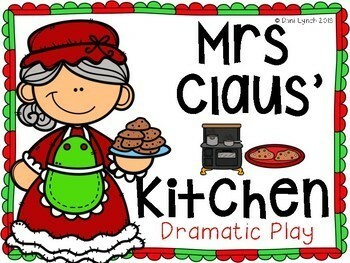 A gorgeous, bumper 97 Page Dramatic Play Printable with (mostly!!) 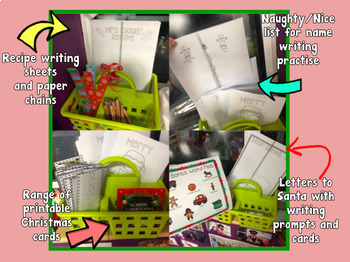 everything that you will need to set up a Mrs Claus' Kitchen Dramatic Play in your home corner/role play area. 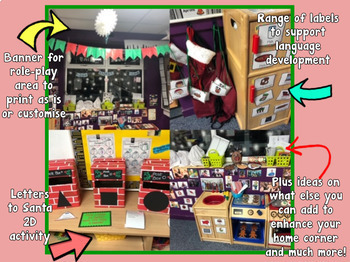 Lots of opportunities for writing and language building as well as maths! Please check out my facebook and instagram for ideas on how to implement this centre!